14652 Your decorating wish just came true! 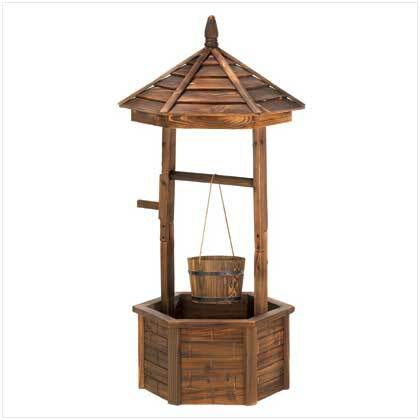 Natural wood wishing well adds quaint nostalgic appeal to your outdoor living space; so pretty when its bucket and base are filled with your favorite flowering plants Weight 16 lbs. Plants not included. Fir wood. 25 5/8" diameter x 44 1/8" high. 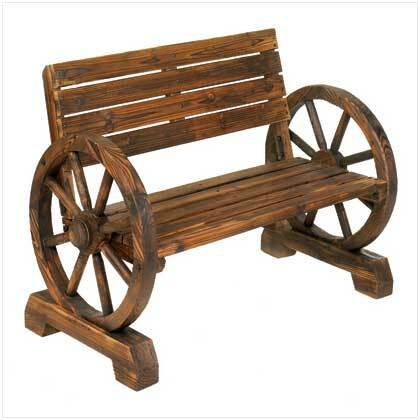 14649 Garden spaces big and small get double the delight from this two-in-one furnishing! When folded into a park bench, it invites a cozy intimate chat; when hosting a gathering, it quickly becomes a roomy picnic bench with plenty of room for guests. Weight 38 lbs. 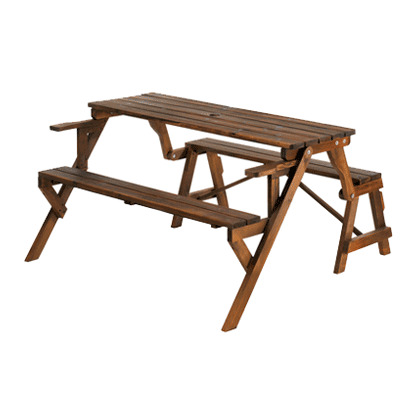 Picnic table: 55" x 53¾" x 29" high; bench: 55" x 31½" x 24¼" high. Fir wood. Due to the size and weight of this item, we are ONLY able to ship it within the Continental United States, to physical address locations, and only via UPS Ground. Weight 35 lbs. Wood. Some Assembly Required. May Require Additional Freight Charge. 42 1/4" x 21" x 31" high.! 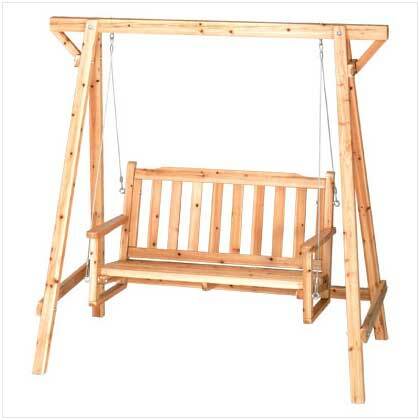 35107 Rustic garden swing is perfect for porch or patio; comfy bench is roomy enough for two! Oil-and-lacquer finished for lasting beauty outdoors. A restful way to dream away the day!Russian pine. Some assembly required. May require additional freight charge. 67 1/3" x 33 1/2" x 65" high.